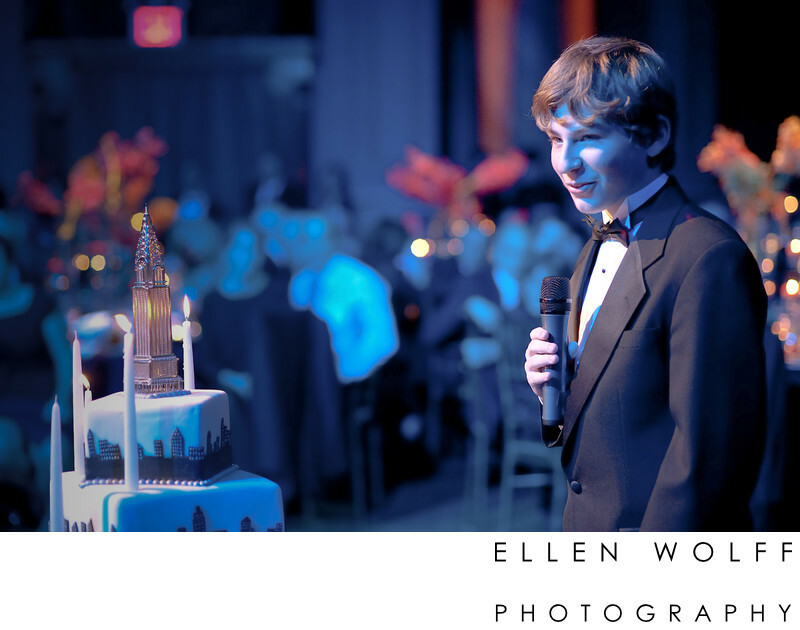 This masculine cake was perfect for this NYC Bar Mitzvah at Capitale. I love how the Chrysler Building topper added the right proportion. Location: 130 Bowery, New York, NY 10013. Keywords: Bar Mitzvah (66), cake (9), Capitale (3).